Nikola Motor has started taking reservations for Tre, the startup’s first hydrogen-electric truck built for the European market. Nikola Motor, which less than a year ago announced plans to build a $1 billion hydrogen-electric semi truck factory in a suburb of Phoenix, said it’s in the preliminary planning stages to identify the proper location for its European manufacturing facility. European testing is projected to begin in Norway around 2020, the company said. The Tre — it means three in Norwegian — is still years away from production. CEO Trevor Milton said production will begin around the same time as its U.S. version between 2022 and 2023. But it illustrates Nikola’s global aspirations. The U.S. and Europe have different trucking regulations. Nikola had to design a different model to meet those regulations before it consider trying to break into Europe. The Tre will be built with redundant braking, redundant steering, redundant 800V dc batteries and a redundant 120 kW hydrogen fuel cell, all necessary for true level 5 autonomy, Milton said in a statement. Level 5 is the highest level autonomy, a designation in which the vehicle handles all driving under all conditions. The Nikola TRE will come will come in 500 to 1,000 horsepower versions. The truck will be able to travel 500 to 1,200 kilometers, depending on options a customer chooses. Nikola plans to have more than 700 hydrogen fueling stations across the U.S. and Canada by 2028. The company said Monday it’s working Nel Hydrogen of Oslo to provide hydrogen stations for the U.S. market. 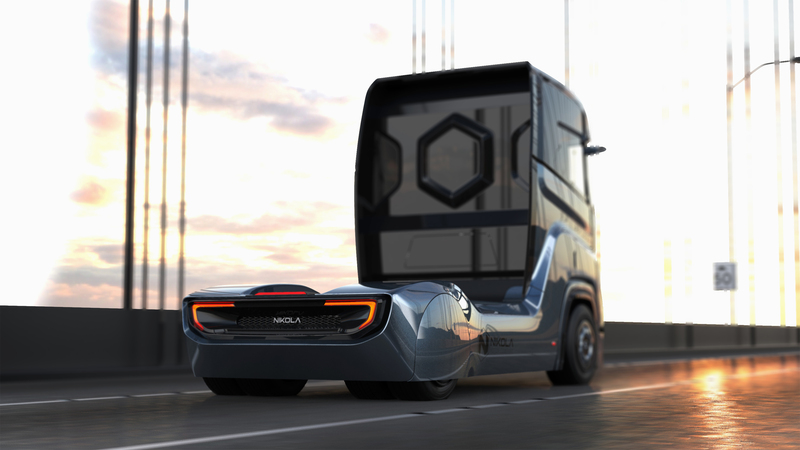 Nel will be used to secure resources for Nikola’s European growth strategy, according to Nikola CFO Kim Brady. By 2028, Nikola plans to have a network of more than 700 hydrogen stations across the USA and Canada. Each station will be capable of 2,000 to 8,000 kgs of daily hydrogen production. Nikola’s European stations are planned to come online around 2022 and are projected to cover most of the European market by 2030. The company will display a prototype display of the Nikola TRE during the Nikola World event April 16 and April 17 in Phoenix.